Home » Career » How Can You Earn a Career at Deloitte? 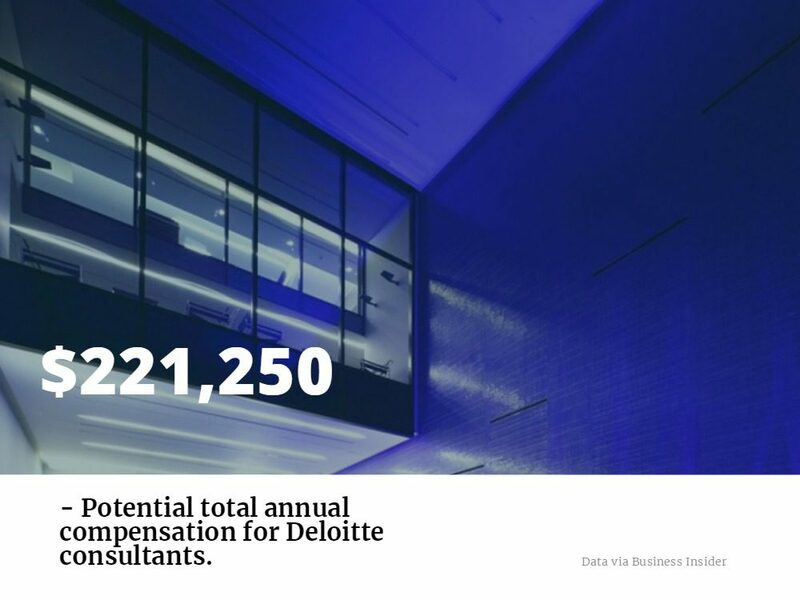 How Can You Earn a Career at Deloitte? So, it’s no wonder that Deloitte is a top career choice for many MBA students. The company fits the 33 percent of 2016 post-graduate MBAs who want to work in consulting according to the 2017 Prospective Student Survey conducted by the Graduate Management Admissions Council (GMAC). And Deloitte also falls into the Big Four—KPMG, EY, PwC, and Deloitte—a prestigious place to be. In addition, Deloitte is a major MBA recruiter with a depth of different career opportunities including Strategy & Operations, not just consulting. According to Transparent Career—a GlassDoor for MBA students—Deloitte ranks as the seventh best consulting company to work for with a composite score of 81/100. So, why should you consider Deloitte as your next career move? Culture: For 18 years, Deloitte has been on Fortune’s “100 Best Companies to Work For” list. That indicates consistency. Giving Back: Deloitte supports more than 5,000 nonprofits each year through its workplace giving program. Plus, workers gave more than 440,000 volunteer hours in 2016. Inclusion: Approximately 2/3 of Deloitte’s new hires were women and minorities, and DiversityInc ranks it as one of the “Top 50 Companies for Diversity” and has done so for 13 years. What’s a day in the life of a Deloitte new hire look like? It depends on where you work. Deloitte isn’t just a consulting company. MBAs can work in a variety of industries including banking, energy, national defense, real estate, and entertainment and in a variety of functions from mergers and acquisitions to audit and assurance, tax, and financial advisory. Your career path at Deloitte will depend on where you’re hired. If you’re thinking of a career in management consulting, then joining the Strategy & Operations program as a Business Analyst is a smart move. As an MBA, you’ll start at the senior consultant level for two to three years. From there, you’ll move to manager for three to six years, senior manager for 406 years, and then finally reach principal/director. Within this career path, you’ll help market-leading client organizations tackle their complex business programs to drive results. You’ll be exposed to a variety of industries, clients, and projects. Senior Consulting in Technology, where you’ll make strategic decisions where technology intersects with business strategy. In this position, you’ll use technology to help companies grow and evolve. Human Capital Consultant, where you’ll help clients develop solutions across their enterprise looking beyond human resources. Audit Staff Assistant, where you’ll work with a team to navigate the difficult landscape of auditing first-hand. Landing a job at Deloitte starts with their Deloitte Consulting Immersion Program, Client Service Internship, and various competitions. In each of these programs, MBA students will have the opportunity to interact with higher-ups at Deloitte who are responsible for hiring. During the internship, MBA students will spend eight to ten weeks working in one of four business functions: risk and financial advisory, audit and assurance, consulting, and tax. On the other hand, the Immersion Program is just three days in length but provides MBAs with the opportunity to evaluate the depth, breadth, and quality of the job opportunities at Deloitte. As for the competitions, the National Case Competition and the National Consulting Case Competition are held at Deloitte University each year—inviting top students from MBA programs around the world.